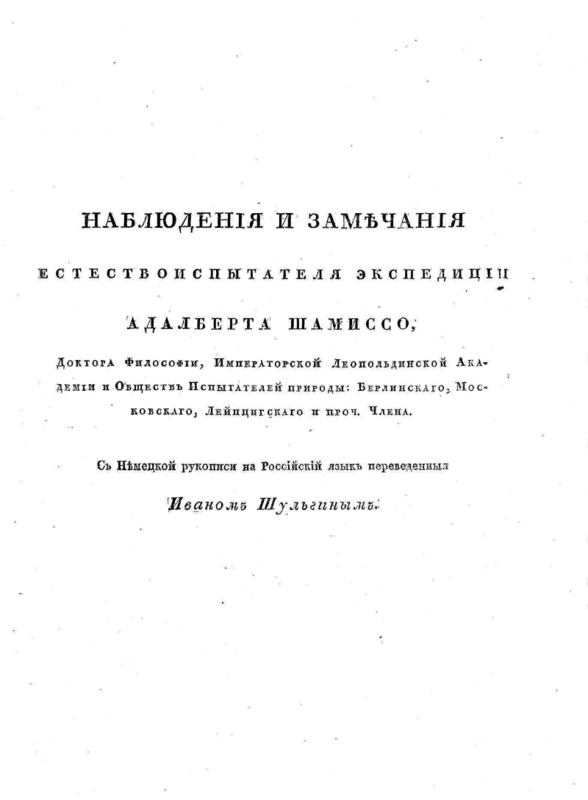 Part 3: Observations and observations of the naturalist of the expedition Adalbert Chamisso, Doctor of Philosophy, Imperial Leopoldin Academy and societies of naturalists: Berlin, Moscow, Leipzig and others. 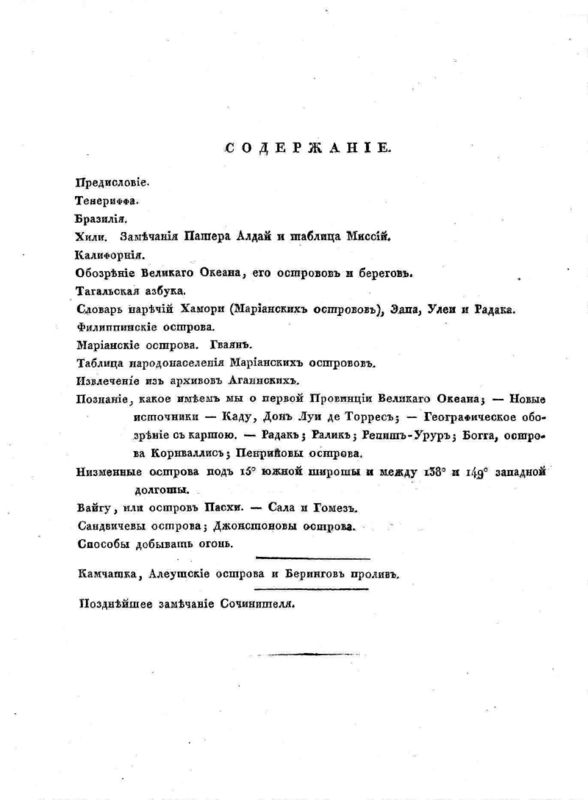 member / From the German manuscript to the Russian language translated by Ivan Shulgin. 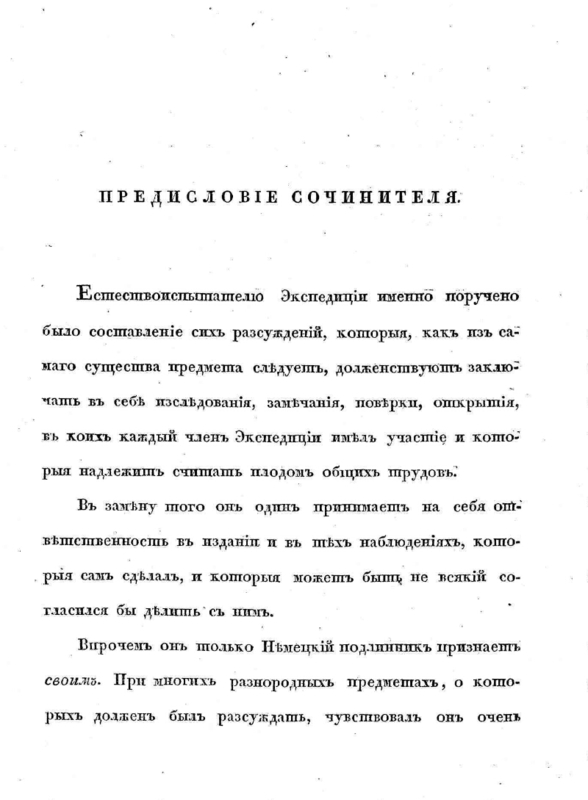 - 1823. - 438,  p. : tab.,  l. Table. - Appl. 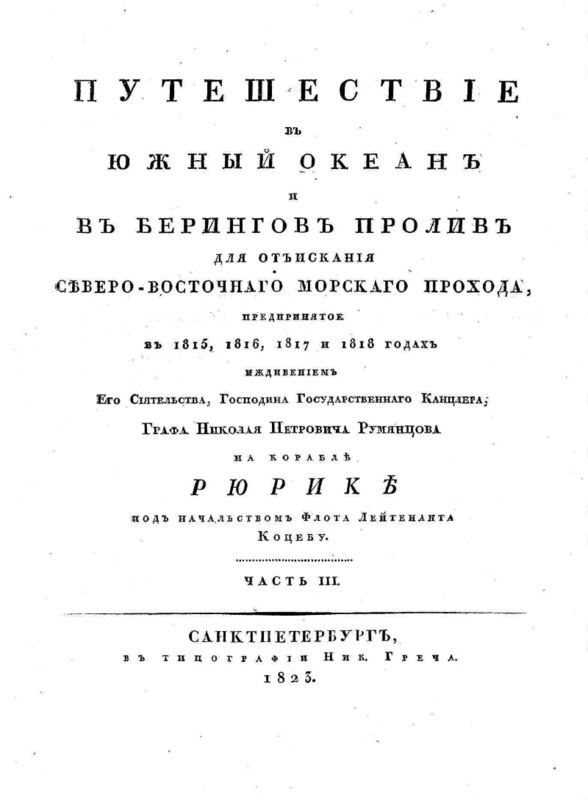 to: Kotsebu OE Journey to the Southern Ocean and the Bering Strait for the retrieval of the Northeast maritime passage, undertaken in 1815, 1816, 1817 and 1818 ... St. Petersburg: In the printing house Nick. Grecha, 1821-1823 . 1. Kotzebue, Otto Evstafievich. 2. 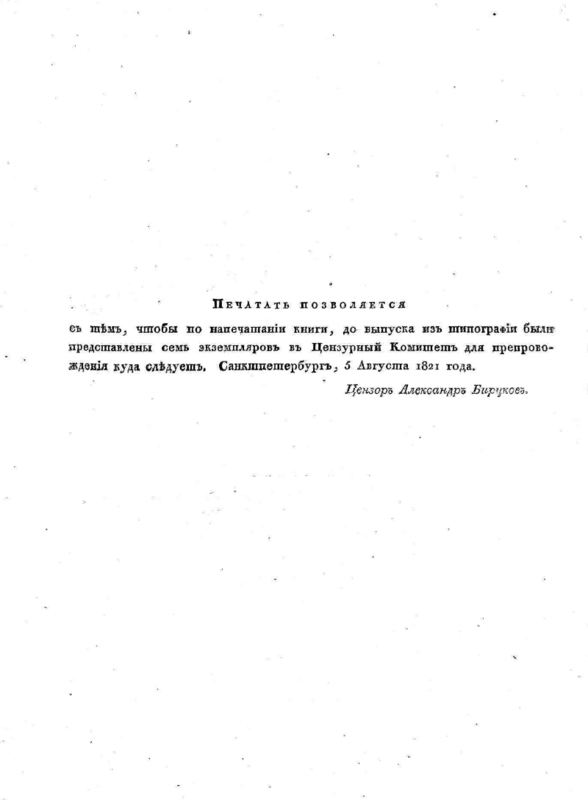 Round-the-world voyages Russian - 19 in ..